Making your own dried orange or lemon zest powder is really easy and SUPER thrifty! With citrus fruits being at their cheapest during the summer, this is a great time to take something your family usually throws out or composts and turn it into some dehydrated citrus zest to use in your baking and cooking. 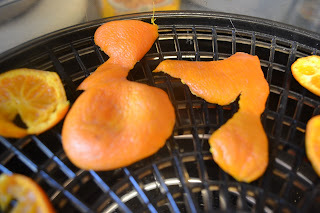 I am in the middle of dehydrating some orange slices for a future blog post full of fun ideas for taking advantage of this summer citrus fruit while they are in season. My husband came in and peeled an orange to eat while I was doing that and without thinking about it, I as usual popped the peels onto the dehydrator , and then realized I should do a separate post on just dehydrating the peels, and making your own Zest powder. 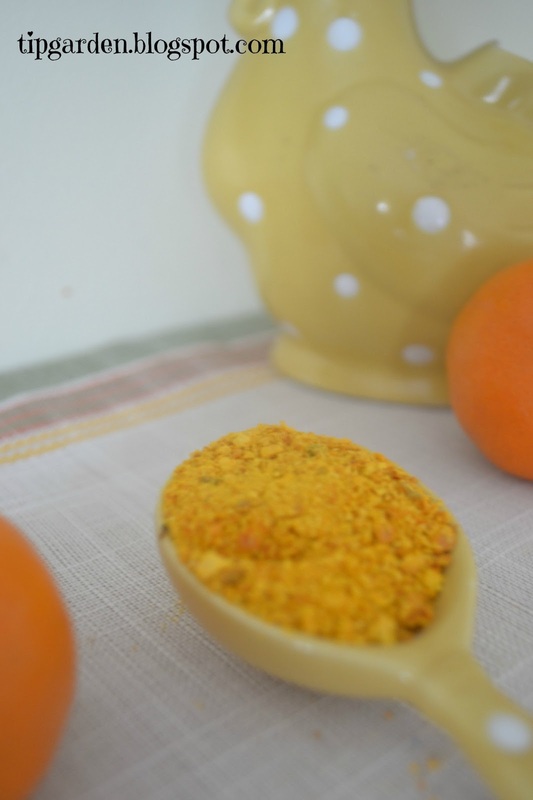 Orange Peel Powder or Zest can be used in more than you realize. It can be sprinkled into Chinese cooking, sprinkle a little into many of your baking recipes such as zucchini breads, cakes, muffins,etc. it will bring out and enhance many of your other flavors. Save and mix into your teas or drinks, and much more. Or leave the dried peels whole and use in potpourri mixes. 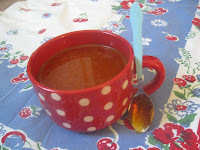 See the end of the directions for a great link to making your own caffeine free orange spice tea blend. I just absolutely love the idea of dry freezing orange peel. 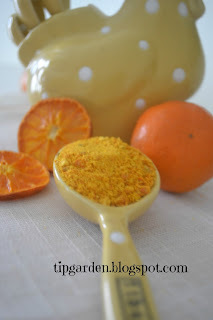 It seems when I find a good recipe using orange peel I'm out of fresh oranges, especially in the winter. Thank you for sharing with the Clever Chicks Blog Hop this week; I hope you’ll join us again! I used my lemon peels to make limoncello. My question is this. I just froze the lemons that I peeled. Can I dehydrate them after they are defrosted or should I just thaw them and juice? Marcie, with Lemon peels I see no reason why it wouldn't work. It should work just fine. Other foods with a high water content may not fair so well, but thawing the peels and dehydrating should be just fine, as far as I can tell. Let me know how it goes if you give it a try! I appologize for the delay! It is Fahrenheit. I am in the US. I love this! I have been keeping all my peels for different projects and recipes but today was the first time it hit my hmmmm why don't I dehydrate some of those peels. Thanks so much. And ladies I will say grating a frozen lemon or orange is super easy and I love that option for recipes that don't need juice also.